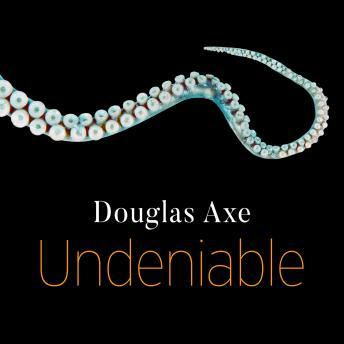 Throughout his distinguished and unconventional career, engineer-turned-molecular-biologist Douglas Axe has been asking the questions that much of the scientific community would rather silence. Now, he presents his conclusions in this brave and pioneering book. Axe argues that the key to understanding our origin is the 'design intuition'-the innate belief held by all humans that tasks we would need knowledge to accomplish can only be accomplished by someone who has that knowledge. For the ingenious task of inventing life, this knower can only be God. Starting with the hallowed halls of academic science, Axe dismantles the widespread belief that Darwin's theory of evolution is indisputably true, showing instead that a gaping hole has been at its center from the beginning. He then explains in plain English the science that proves our design intuition scientifically valid. Lastly, he uses everyday experience to empower ordinary people to defend their design intuition, giving them the confidence and courage to explain why it has to be true and the vision to imagine what biology will become when people stand up for this truth.